Also virtually unmentioned is that Martin and Zimmerman were fighting, with at least one witness emphasizing that Martin had the upper hand just before the fatal shot. Although Zimmerman seems to have been overzealous in his scrutiny of possible criminals in his community, he may indeed have been “standing his ground” once the encounter escalated into violence. 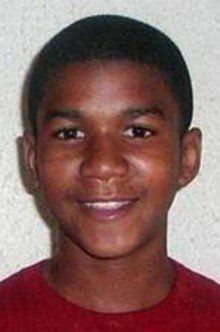 Indeed, the Orlando Sentinel reports that the police are sticking with the version that Martin was the aggressor. Police sources say Martin was the aggressor on Feb. 26, knocking Zimmerman to the ground with a single punch and then climbing on top of the 28-year-old neighborhood watch captain and slamming the back of his head into the ground. 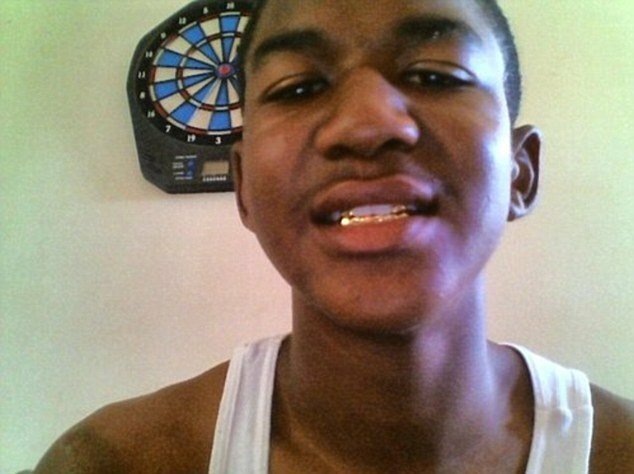 Police say this account, given by Zimmerman, is supported by eyewitnesses, according to the Sentinel’s report. One such witness reportedly told police that he saw Martin on top of Zimmerman, striking the man, while Zimmerman cried out for help. The attack left Zimmerman bloodied, police sources told the Sentinel, and led him to fire at Martin in self-defense. The above report also indicates that Martin was suspended from school because he was found with an empty baggie for marijuana, a violation of the school’s zero tolerance for drugs policy. The main take-home message thus far, however, is the massive media overkill designed to reinforce the fundamental premise of the new dispensation: Non-Whites as victims of evil Whites—perhaps the most pervasive mantra (in Bob Whitaker’s sense) promoted by the mass media. In all societies, elites reinforce their power by interpreting events in a way that upholds and reinforces the fundamental ideology of the society. In times past, religious figures interpreted events from the perspective of their religious beliefs, and because of their power to disseminate their views to their congregations, it helped reinforce their religious beliefs. Back when America was a self-consciously White country, the media reinforced the image of courageous, brilliant, inventive Whites. The media deluge that greeted Charles Lindbergh when he accomplished his trans-Atlantic flight in 1927 doubtless produced a huge upsurge of national pride and an implicit sense that Whites were uniquely talented and creative (in inventing airplanes) and adventurous in embarking on a very dangerous mission. But now the media goes into overdrive pretty much only when the message is that Whites are evil or, as with the election of Obama, that America is at last shedding its White identity (and none too soon). The main source of information in today’s society is the mass media which is controlled by an elite that is hostile to the traditional people and culture of America. Events like this, as seen through the lens of the media, serve to reinforce the current multi-cultural zeitgeist which is based on the premise that White people have no right to assert their interests and identity as Whites except when, as in this case, White identity is linked in the media to unjustified violence against non-Whites or some other evil. The anti-White establishment will use this event to do whatever they can to advance their larger agenda. There have already been calls for repeal of “stand your ground” laws as inherently “racist“—another mantra endlessly repeated by the media. (Actually, the logic is impeccable: If Blacks are far more likely to attack Whites than the reverse, then they are more likely to be victims of “stand your ground” actions.) And I don’t think it’s a coincidence that today’s LATimes features an op-ed by Gregory Rodriguez arguing that free speech should be curtailed in the interests of managing diversity (“Vandalized by speech”). The scary thing about the new religion is that it is hell-bent on legislating itself into permanence by enacting police state controls that would reinforce the already pervasive informal controls that threaten Whites with loss of livelihood if they publicly stray from affirming the multicultural dogma. After all, with such a morally uplifting ideal, anything is permissible.